I like to bug my borther. 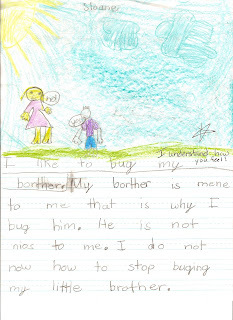 My borther is mene to me that is why I bug him. He is not nios to me. I do not now how to stop buging my little brother. But eventhowe he is mene to me I oways will love him. Teacher's comment: I understand how you feel!